Meet a couple of the many great companions available at our local animal rescue groups: Odin and Copper. Odin needs some time and care to warm up to new people, especially men, but once he trusts you, you have a friend and companion for life. He also does exceptionally well with kids. Mostly, he just wants to goof off, cuddle and be your best friend. Odin previously lived with cats and other dogs, but a meet-and-greet is always required. 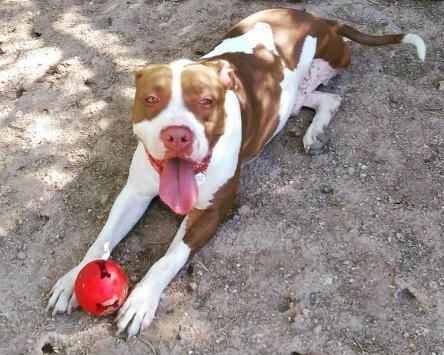 Remember — Odin is a cuddly guy who is crate-trained, housebroken, neutered, microchipped and up-to-date on shots. Interested? Please contact RAD Rescue, Inc. at 661-400-5151 or visit www.radrescueinc.org and we'll schedule a meet and greet. Copper is an approximately 8-10 month old golden Lab mix. Found wandering in the desert around Nogales, Copper is still a young kid who is new to living in a home environment. He is a mellow puppy who is looking for a new foster or adopter who can continue to help him learn. Copper is a people dog at heart. He is happiest when he is right at your side. Copper weighs about 35lbs currently and good with like-sized dogs who are nice to him. He currently lives with smaller animals, but is only with them when strictly supervised, so a meet and greet is required. 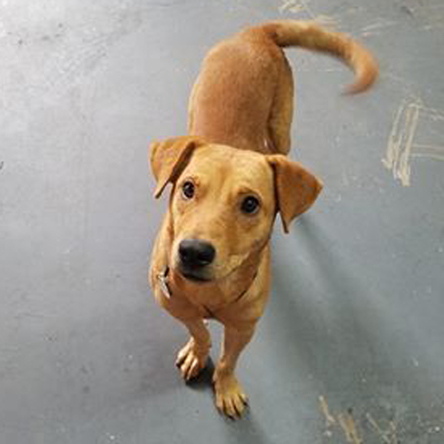 Copper is still working on his house manners, but is fantastic in a crate and has never had an accident when crated — he waits to go outside.Another great thing about Copper is that he likes toys, and LOVES food and treats — both traits that make him very trainable. Copper is scheduled for neuter on November 1st and will be microchipped at that time. He is current on all of his shots. Fosters receive all medical and food care until dog is adopted. Interested in meeting Copper? Please contact RAD Rescue, Inc. at 661-400-5151 or visit www.radrescueinc.org and we'll schedule a meet and greet. Adoption Fee $125. Disclosure: Maria Coxon-Smith is the director of HardLuckHoundsAz.org, a nonprofit local dog rescue group. Most Tucson animal rescue groups are small, volunteer-based nonprofit organizations that rely on the community to fulfill their mission to save animals' lives. Not only do they count on donations from the public to cover costs, they depend on people who are willing to open their hearts and homes to needy animals until they are ready for adoption. If you are interested in saving a life by becoming a foster, please contact a local rescue group today.